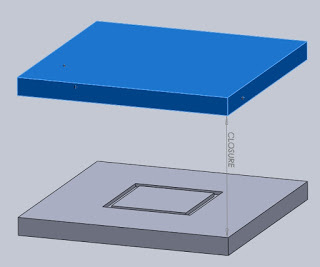 A common question recently came up again about the Rubber Manufacturers Association (RMA) tolerance table and what “Fixed” and “Closure” dimensions are. A way to think of this is a clam-shell mold (top and bottom halves). 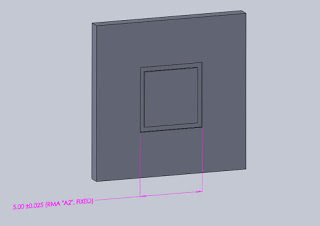 The RMA Fixed dimensions refer to the dimensions that are machined into the top and/or bottom plates. Below shows a 5.000″ +/- .025″ based on RMA “A2” Fixed dimension tolerance. 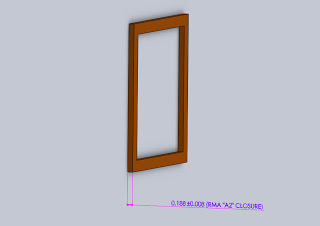 The RMA Closure dimension is the dimension created when the two halves come together (clam-shell is closed). Below shows a rough example of two mold plate that are compressed in a press, 0.188″ +/-0.008″. Stockwell Elastomerics does liquid injection molding (LIM) with liquid silicone rubber (LSR) and does compression molding with specialty silicone rubber materials such as electrically conductive silicone and fluorosilicone. 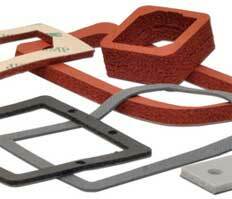 Both compression molding and LIM are cold material going into a hot press. Parting line flash and other flash condition are removed with Stockwell Elastomerics’ in-house cryogenic deflasher. Cryogenically deflashing saves greatly on part cost. For more information on liquid silicone rubber, silicone molding, liquid injection molding (LIM), or other processing methods such as die cutting and waterjet cutting, please call Stockwell Elastomerics at 215-335-3005 or complete a contact form for assistance.